Digital Marketing Leaders Summit Jakarta 2019 is considered to be one of the Forward Leading series of digital marketing & social media events, conferences, and summits around the worldwide, that focus on three dynamic areas: Management Development, Building Business Connections and Knowledge Discovery. Last year, the Forward Leading Agency also brought Digital Marketing Leaders Summit Singapore 2018 and Digital Marketing Leaders Summit Boston 2018. 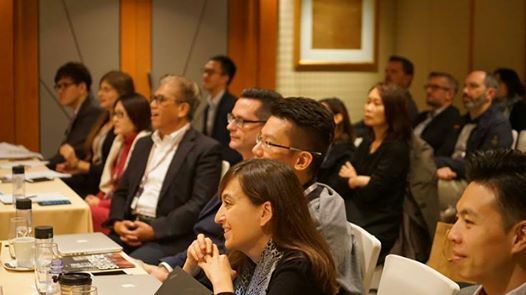 This year, Forward Leading will also introduce Digital Marketing Leaders Summit Sydney 2019 that will take place from 27 Feb 2019 – 28 Feb 2019 at InterContinental Double Bay, Sydney. Digital Marketing Leaders Summit Jakarta 2019 is also considered to be Asia’s most anticipated and influential Digital Marketing conference, which allow you to take your place alongside more than 100 senior marketers and digital strategists over 2 days of networking and learning. Digital Marketing Leaders Summit Jakarta 2019 is a two-day event that will gather the most influential, knowledgable and innovative digital strategists and marketers both regionally and across the globe. But they also must have that ‘special something’; it could be a unique human touch, a truly individual mind, or the courage to take their organization through hell and back- and win. Additionally, Digital Marketing Leaders Summit Jakarta 2019 will bring a great package of the best industry’s leaders, speakers, experts, and peers in all fields of the Digital marketing, in addition, a set of effective and valuable sessions, workshops, case studies, researches, talks, and presentations. The conference’s agendas consist of global and regional leading experts, curating talks on the latest hot topics and allowing you to understand the key takeaways from any presentation. A cross-industry mix of speakers and attendees to learn, network and collaborate through various interactive social sessions, including social breaks, buffet lunches, cocktail reception, and Executive Dinner. Learn and discover about the future trends within Digital Marketing. Enhance your understanding of the new technology that is available to marketers. Identify new opportunities to improve brand loyalty and customer engagement.